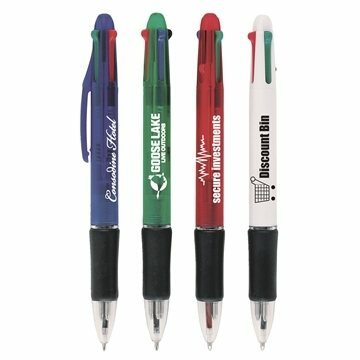 Ink Color/Point Style: Black, blue, green and red ink with medium point. This item is a huge hit within our facility!! Top quality & great color options. I have been very satisfied with all products I received from AnyPromo. It was quite solid and didn't lost form easily. This is definitely a good purchase! I most liked the price I was able to get. I don't think there is anything I dislike. they arrived much more quickly than expected. Rosa was so helpful and nice. She was a treat to work with.